Chad has been instructing at Mountain Top Music for over 10 years now. He leads the rock and pop side of the school, instructing piano, guitar, bass, and voice. Chad’s education and passion for music began as a child at age 7 while learning piano with Nuns at a Convent in Petersham, MA. He continued his educational journey throughout his youth and further as a young adult at Holyoke Community College in MA with his primary focus on guitar. Later he studied vocals through private instruction at Jerry Newby Theatre Achievement Academy in Worcester, MA. Chad is a Platinum selling songwriter who has toured his songs internationally. He has been performing professionally since age 15, opening for bands such as Extreme, Cheap Trick, LA Guns, Man O War, Stone Temple Pilots, and Chuck Berry. 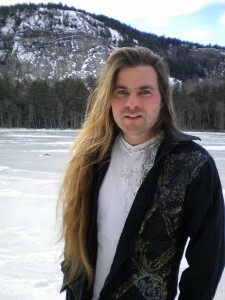 He currently plays bass, keyboards, and sings lead vocals for a New England favorite band – Brazen Cane. His teaching style is based on each individual student’s strengths and goals, which helps create confidence and keeps students fully engaged. As time progresses he fills in learning gaps to make for well rounded student competence in improvisation, scale playing, chord comping, staff reading, music theory\construction, and song structure. Chad has created a group program called Jam Band for Mountain Top Music students of guitar, bass, drums, and electric keyboard, enabling them to play music together as a band. Chad urges students to listen to the music and lock timing together. They also learn how to build songs, take solos, play riffs (repeating phrases) and make efficient use of band rehearsal time. There are performances throughout the year that the Jam Band “gigs” at which allow the students to experience live public performances. It makes the group fun, and keeps the Jam Band students very excited about playing music!